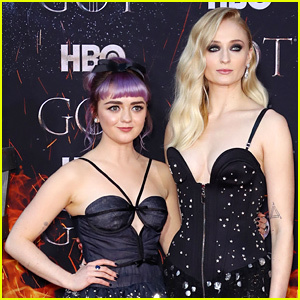 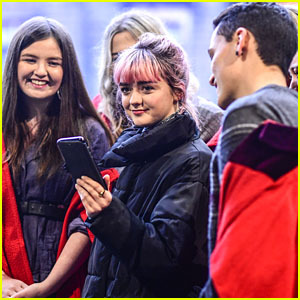 Sophie Turner & Maisie Williams Rock Bedazzled Dresses at ‘Game of Thrones’ Premiere | Game of Thrones, Joe Jonas, Maisie Williams, Sophie Turner | Just Jared Jr.
Maisie Williams and Sophie Turner dazzle at the premiere of the new season of their show Game of Thrones! 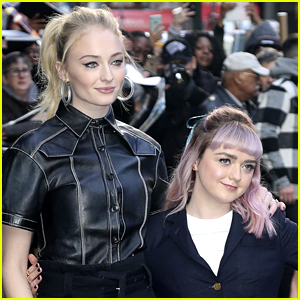 The co-stars hit the red carpet at the event held at Radio City Music Hall on Wednesday (April 3) in New York City. 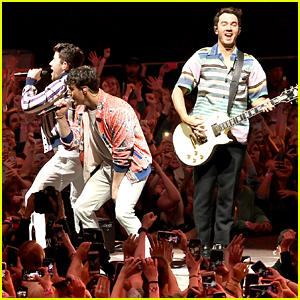 Also in attendance was Sophie‘s fiance Joe Jonas. 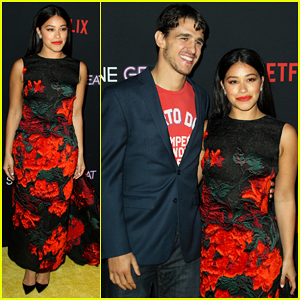 Joe looked sharp in a gray and black checked suit with a white button-up, and Sophie donned a sleeveless black dress with silver stars and circular designs, along with silver drop earrings and smoky eye makeup. 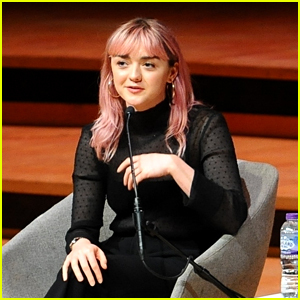 Maisie tied her purple hair up with a black ribbon, looking elegant in a bedazzled dark blue tiered dress with matching jewelry. 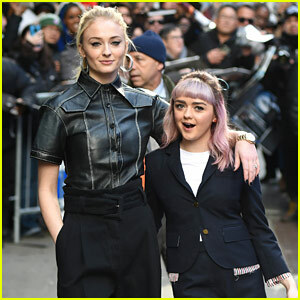 Sophie and Maisie shared a big hug on the carpet. 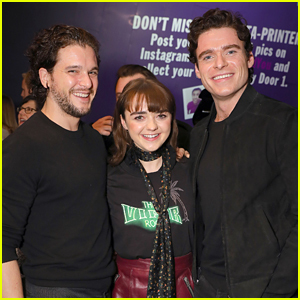 Don’t miss season eight of Game of Thrones when it premieres on April 14 on HBO! 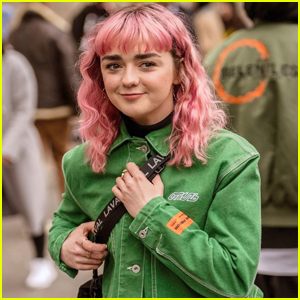 FYI: Sophie is wearing Louis Vuitton. 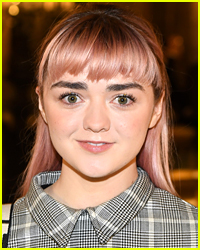 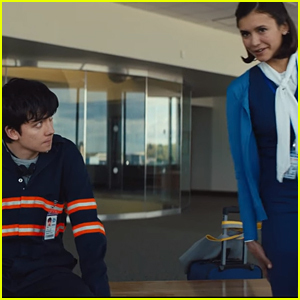 Maisie is wearing Miu Miu.